Recently the composition video clip of “Rooftop Fashion King” produced by netizen which has been circulating on the Internet has attracted attention. The video is a TV series style video composed from the videos of currently airing Korean drama Fashion King and Rooftop Prince. The video begins with the conversation between Micky Park Yoochun who plays the role of crown prince Lee Gak dressing in imperial robe in Rooftop Prince, and Yoo Ah In who plays the role of fashion designer in Fashion King. Later both of them transform into the role of Sun Joon and Jae Shin in Sungkyunkwan Scandal. 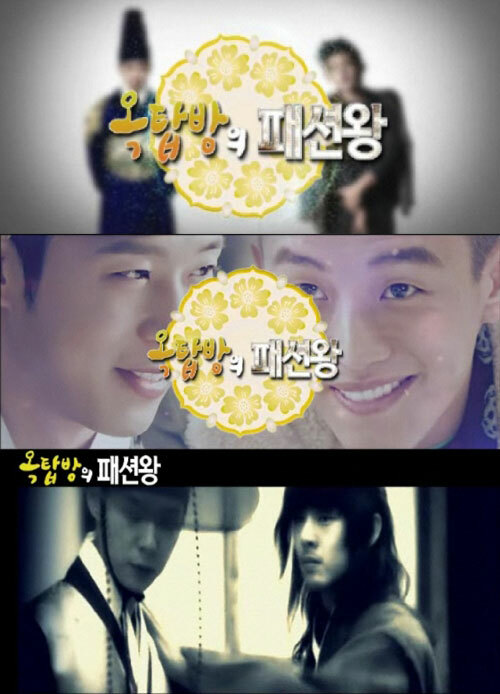 Then Park Yoochun suddenly woke up and recognize Yoo Ah In whom he knew 300 years ago. Netizens who saw the video clip said, “This is really a edited drama that is crazily hilarious,” “Really is perfect editing” and so on.